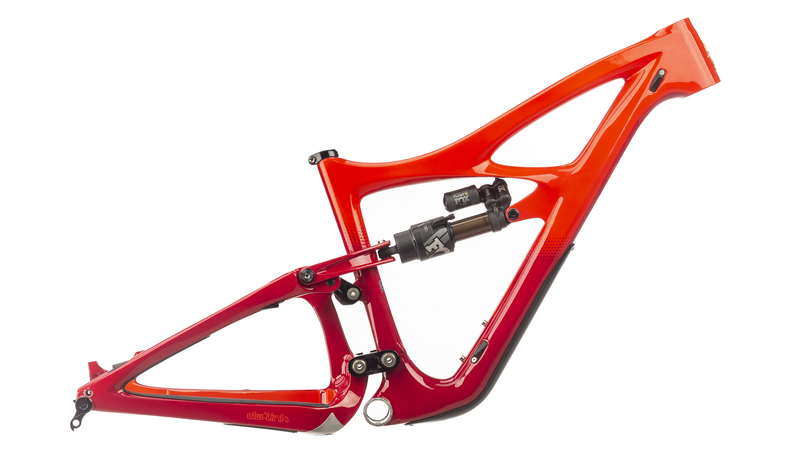 Now in its fourth generation, Ibis set out to completely redesign the geometry for the HD4 with focus on stability and speed. After much experimentation and real-world testing, Ibis landed on a 64.9 degree head tube angle, and increased the reach across the board. A redefined carbon layup, 30% stiffer upper link, and 40% greater stiffer lower link yield greater overall frame stiffness. Boost spacing adds to the overall ride quality by allowing the HD4 to fit up to 2.8” wide tires. Internal cable routing keeps the frame’s appearance clean while protecting the cabling from the elements to keep your drivetrain running smooth. From the suspension standpoint, the current Mojo HD3 pedals superbly. 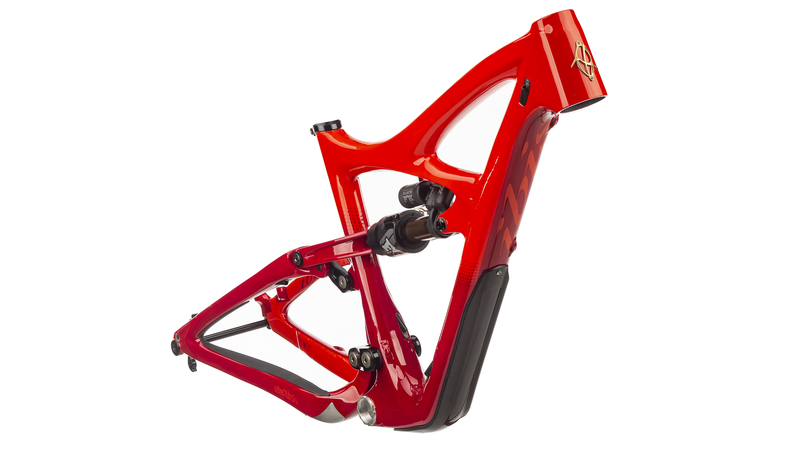 Ibis didn't want to mess with such a dialed suspension design so they left the kinematics the same for the Mojo HD4. What Ibis did do, is engineer more progression into the shock leverage curve, allowing for more big-hit capability in very rough terrain. The travel went up a tiny bit, and it now has 153mm of rear travel. The bike is intended to fit a piggy-back rear air shock while still fitting a 22 oz water bottle in the frame. 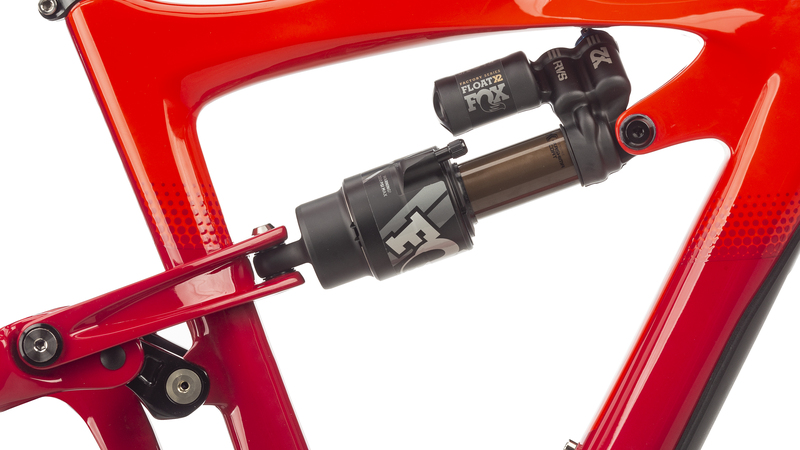 The Fox X2 rear shock is custom tuned to the bike with more progression engineered into the shock leverage curve, allowing for more big-hit capability in very rough terrain.